Well, with fewer parents having their child baptised, more celebrants are officiating naming ceremonies. So, more happy broods of children are celebrating their names with a secular ceremony. And guide parents are taken on the responsibility of the godparents’ role. Here’s another interesting thing…The age-old tradition of naming ceremonies, birthday celebrations or christenings, marks an important life event that’s worth celebrating. Naming ceremonies are the ideal time to honor the unique name of a loved one. It’s a fitting occasion to show a young child or adult how much you appreciate them. 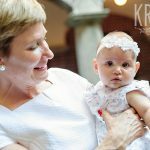 If you are fostering the idea of a naming ceremony, let me tell you there’s something unique about our names and traditions that we all cling dearly to. And whether you are a parent of a new born baby, an adopted child or step children, you can celebrate the meaning of their birth name [birthday celebration]. Whether you are married or unmarried parents in a domestic partnership, here’s the problem – you’ve been through tough, challenging times. Nevertheless, you have a child and desire to confirm your love to them publicly. In that case, their birthday is the right time to plan a declaration of your intentions and hopes for his, hers or their future. And the perfect occasion is during a meaningful naming ceremony. In addition, if this is your second marriage and you have older stepchildren who mean the world to you. Love them and make them feel special. Now, to make this happen, have a secret chat with their best friends, guide parents or grandparents. Together, you can arrange an amazing surprise party for them. Odds are, they will know the best venues and times to celebrate. What’s more, as parents you want to provide your child with emotional and practical guidance bound together with love and respect. So, a close family member, guide parent could lead the naming ceremony. Since baby naming ceremonies are not legally binding, they can conduct the proceedings. It’s straightforward. Encourage them to use powerful words or a speech to express your feelings. But where do you begin? Celebrants are experts at creating meaningful, personalised, family-focused naming ceremonies for new parents. These professionals abide by a strong code of ethic. And they are trained to compose and deliver a personal and tailor-made naming service. With their help you create a special and one-of-a-kind ceremony that has a long lasting effect on everyone. Quite simply, this is a good time to put your parent skills and patience to work. So, take things in your stride. Sure, after all the years of compromise you’re an expert at negotiating and have developed excellent tactical maneuver skills. That means you’ve become first-hand mediators. Therefore, ask yourself is it right to formally acknowledge your child’s name? The truth is, it’s a new beginning and a fresh start for your family. So, don’t organize the celebration of your child’s name or birthday in a haphazard way. Think about the content of your speech. For starters, do you want your celebrant, family or friends involved in the party? What are your dreams for your child’s upbringing? Do the guests need to know everything? Take a mini break from all the planning. Here’s how… Go away with your other half and child for a day, weekend or even a week. Spend some quality time as a family. The change of scenery and time away will help you focus on prominent issues and plans. It’s an apt moment to discuss the event together. In fact, preparation and planning your naming ceremony or christening will cost you time, energy and money. It’s consuming. And, this is when stress kicks in. Usually, long-lasting relationships survive because of effective communication, collaboration, caring and making compromises. But why choose for a ceremony? Read more about naming ceremonies and decide if it is for you!